Prostate fusion biopsy device that has been created using innovative hardware and software. Fusion Bx brings targets from MRI into live ultrasound images, enabling urologists to take biopsies from suspicious cancer regions for accurate prostate cancer diagnosis. Unrestricted range of motion allows freehand-like access to the entire gland while providing consistent probe pressure and minimizing deformation, contributing to the increased accuracy of Fusion Bx. Patent-pending counterbalance technology simplifies procedures by supporting the probe in any position, reducing the need for additional assistance. Automatic motion compensation adjusts for patient movement to maintain image registration – allowing procedures to continue uninterrupted. 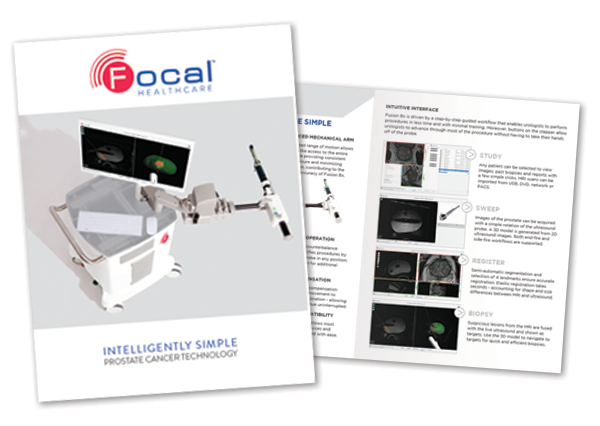 A step-by-step guided workflow that enables urologists to perform procedures in less time and with minimal training. Simple device setup allows most leading ultrasound devices and probes to be connected with ease. 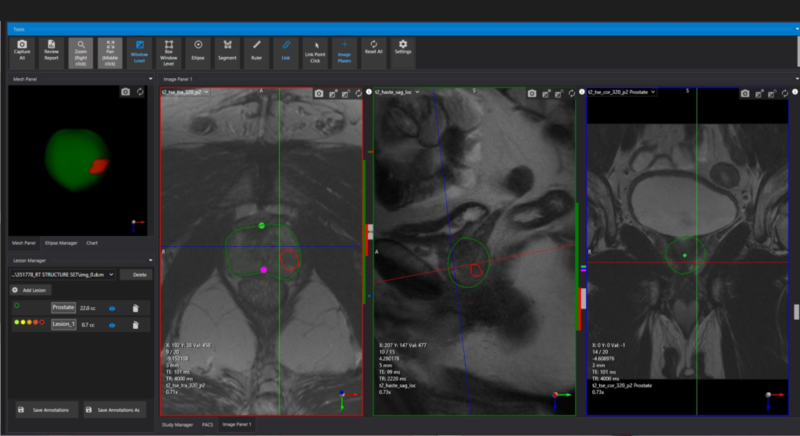 Prostate radiology software to read and segment multi parametric MRI of the prostate.